Now one of the main things I wanted to talk to you guys about in my newest post back is about a new special fansite that has started up. This fansite is called Kingsisle Universe. It is unlike ANYTHING you have ever seen before. Kingsisle Universe is a fansite created by wizards and pirates of the Wizard101/Pirate101 Community. It contains a mass index of all things Wizard101. Soon, it will have all things about Pirate101. Their goal is to bring you a great experience on a online community full of wizards and pirates alike. They are a dedicated staff wishing to help out anyone's needs. You'll be able to find guides, news information, schools, classes, spells, and attack cards for both games. Kingsisle Universe will provide a safe and secure site for both kids, teens, and adults. Kingsisle Universe offers two sections, Wizard101 Insider and Pirate101 Voyager. 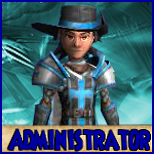 On Wizard101 Insider, a wizard will be able to find updates of the game, test realm information, guides, worlds, questlines, items, hoard information and discussion, and much more. Pirate101 Voyager has all that to offer and more for the new Pirates. You'll be able to find your classes, the crew members, and Armada updates, too! The dedicated staff works hard to keep everyone updated, no matter what corner of the Spiral they venture in. "Kingsisle Universe would like to verify we do not speak on behalf of Kingsisle. We are just a fansite created by wizards and pirates. We chose our name because it was a general topic name for our site. This way we could include Wizard101 and Pirate101 with ease.Members need to know that we are not an official Kingsisle Fansite/Blog. " Ah, I knew you would be back! What a great way to start my morning, knowing it! Thanks so much for mentioning KU, it means so much to all of us. Welcome back. Welcome back! Its good to see you in the spiral again. Man i really should check the internet more often that way I would have known sooner. Well see you in the spiral!